I recently purchased a Chinook Pro 1 160-226 Carbon Boom. I got to use it for the first time on the weekend. Here are my thoughts. This boom replaces a 160-210 Billows 160-210 carbon boom. The Billows boom was originally purchased as an emergency from a local dealer three years ago. 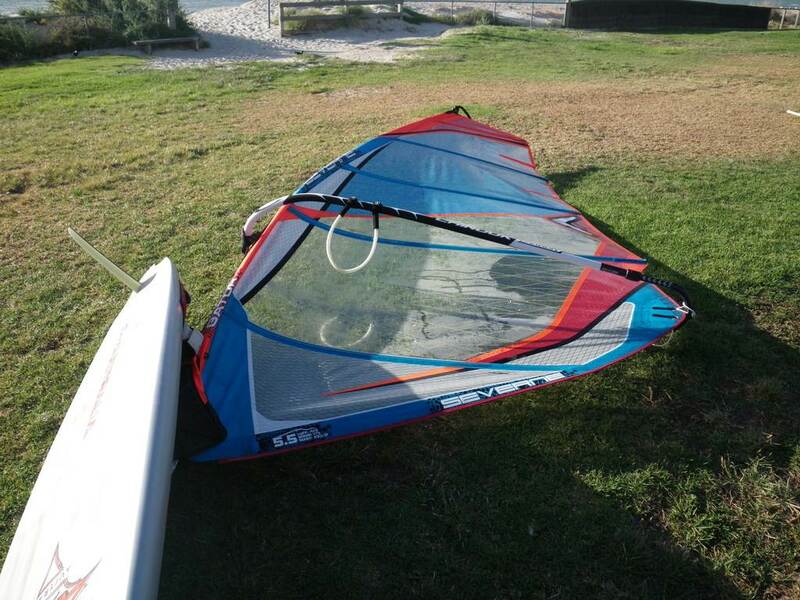 It's a budget boom ($550 in Dec 2012), but fairly good for it's price, and is very wide allowing those freeride and slalom sails to be bagged out. The only annoying thing about the Billows is the clamp. Long story short, it was enough for me to go out and buy a new boom (rather than servicing the Billows). Also, after three years, the grip had packed it and now requires replacing. So, I broke down and got myself the Chinook Pro 1 160-226 Carbon ($1245). The primary requirement is that it had to be equal or greater in width than my Billows boom, which it easily satisfies. The locks that retain the tail piece feel cheap and nasty (brittle feeling). The locks on the Billows are better quality. The grip's pattern is not seemless (ie: jig-saw puzzled). I can feel with my fingers where the cuts in the grip material are (unlike older booms I have owned). I am wondering how long the grip will last before it starts to fail, as I own a Simmer wave boom (that has a similar designed grip) and it's grip started to peel off after a few months of use (not saying this boom will, but it's got me thinking). Also, the tail piece has no covers/caps or sealed etc and gives this product an unfinished look. This is the first boom I have owned will a tail piece in this state. I sent an enquiry to the dealer. This is the actual finish. 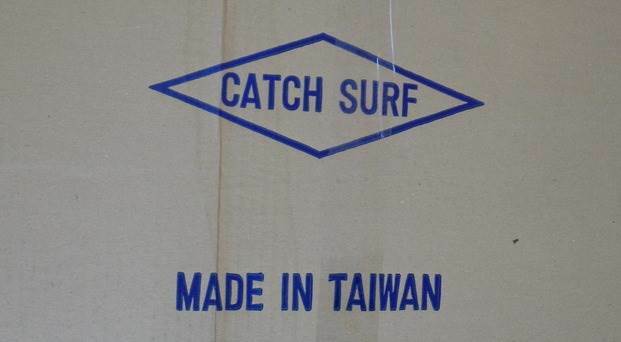 Also, their is a badge on the tail piece that says "Made in the USA", yet it's packing box says made in Taiwan ??? Weight wise: there is no difference between the Billows boom and this boom. Rigging up: The mast clamp is very good (not frustrating to use), and rigging the clew is easy too. On the water: The boom is nice and wide, and can bag out that freeride sail without the boom arms rubbing on the sail. It gybes well, tacks well. This boom was designed for Freeride sails unlike it's smaller cousin the Pro-1 150 which is much narrower. The clips are superior to the Billows, they operate with one hand, will not rust & are strong enough to take landing 50ft back loops. The boom is indeed made in USA despite what that shipping carton says -shop must have recycled it from another product. Best thing is, if you have a problem with it, they will stand behind it. I have been using a couple of the pro1 carbons for 4 seasons, no problems with the grip. The plastic clips on the newer booms like yours are an update to the ones on my booms which seem to rust slightly. The only thing I have had ro do is replace both front ends. I found when they get loose and rotate a bit that the plastic wears out but also the carbon gets a groove in it so I had to wrap some new carbon around the front where the clamp goes to nake it nice and round again. If you just put the new clamp on without fixing the underneath wear the looseness comes back quickly. It seems a common problem with Carbon booms that the head gets loose quickly with it's pivoting movement. This seems to me to be due to the very low abrasive resistance of carbon. Why not wrap the carbon in a protective layer of Aramid (Kevlar) before fitting the head? Kevlar has extreme abrasion resistance to the point where it is almost impossible to 'sand' with normal abrasives. Its good to see Chinook got the width right for Freerace/Race sails in a size that goes down to 160. Almost every other brand makes the booms under 2m waaay too narrow for those sails. My Billows booms are an exception but newer model Billows seem to be narrower. The extension clips on my Billows booms have shown 'rust' and a couple of pins have pulled out of the plastic. They are easily repaired or replaced with better ones though. Thanks for the tip Jman. I'll keep that in mind. You are right Sailquik. Wide booms are just not in fashion any more, and it was a long search. I was cursorily looking for a new boom on/off for a year - lots of dead ends via emails to manufacturers and asking people in the rigging area if I could compare their boom etc. I ended up asking the question in the general forum, a replier put me onto Chinook. On my Chinooks, the clips eventually wore out. I think its a combination of the clips and the holes in the boom wearing a bit. My dodgy repair saw new clips and a new hole with the tail piece mounted upside down. I also had the head on the first one break a few years after purchase. It was relatively easy to replace. I have a pair of the Pro 1 Carbon booms and am very happy with them. The width is spot on for freeride sails and I have had no problems with the boom grip. Each season I paint on a coat of epoxy in the area where the boom clamp goes. The double pin Plastic clips are larger diameter than other metal clips - its nice because they don't wear out the holes like steel. Also the spacing is backward compatible so you can replace the new clips with the old single pin if you wanted or drill an extra hole in your old boom(2cm away) & use the new clips. probably in Oz more than in colder climates? - be careful, many ovens have poor temperature control!! - fibre filled Nylon is a possibility? chinookRandD? The Chinook clip looks like it may be fibre filled? I'm really happy with my 160, I've had it for about 18months and no problems. As per sailquik comments, its really hard to find a good carbon free ride boom or for small race sails. You either have fat race booms (180) that weigh a tonne or wave booms (150) that are too narrow. I like the clips. 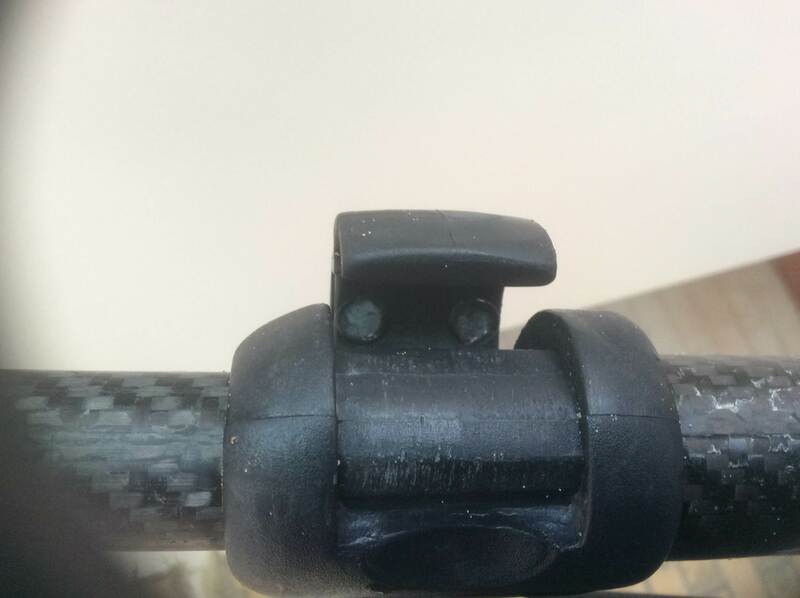 Most clips have metal pins, which tend to rust and react with the carbon. I've had to replace them on other booms. I also like the clips as you can adjust them with one hand and its easy to find the hole, where as some other booms its really hard to find the hole, making them prone to damage. I would like to see a little more curve a the start of the boom, like the wave booms (but not quite to the same amount). Overall a really good boom 9 out of 10 in my view. Unless the surf sail boom has changed fittings I don't think it's the same. My surf sail boom has the plastic boom extension clips with metal pins. Thus corrodes and breaks so needs to be replaced every season. i like the idea of plastic pins, solves the corrosion breakage problem, providing the plastic pins last! if it's the same diameter and pin location then I'd definitely want a set of their boom clips for my surf sai boom. I have had the Chinook carbon for approx 18months. Loved it until now the boom extension pins have broken. After doing some searching I found the below on another forum that seems to say Chinnok have admitted a problem. <div class="kmsgtext">I talked to Andy (Former St. Louis windsurfer) at Chinook and he said that Chinook has since beefed up the collars which solved this issue. If the collars do fail, they will replace them at no charge, no questions asked. I've ordered many pieces of equipment for local sailors and what few problems I've had, Chinook has been very good at addressing them. I tried contacting Chinnok twice and not even an acknowledgement. hmm.. that's not so good shaggy. Did you email Chinook directly? I have always found them to be very good at replying to emails, in fact just recently recieved some feed back from them on boom clips. @ KJ had just snapped inside on one side. I think you can change the end but not sure how. I had the same problem with the pins shearing so ended up replacing the plastic clips with the single metal pin one.. I also had the boom for about 15 months..
That's a bugger I was thinking of getting some of those instead of using the metal pins which corrode and break the clips in around 12 months. They look the same shape as the Surf-sail Boom i use, so you may want to drop into Surf Sail to see if their twin metal pin clips will fit. They usually have plenty of spares. Same here. One of the two pins on one side of mine just snapped for no apparent reason!! There must have been something wrong with the Chinook website as emailed using the email Jman posted and had response from Chinook by the time I next checked my email within the hour. The response was good as well saying that he would post some new ones to me with instruction how to change. I've had both Chinook and Billows carbon booms. Chinook have always backed their product and fixed any issues in my experience. I too am getting replacement collars free of charge. Andy, from WindsurfingGear.com.au where I bought my boom, is delivering them today!! And... Andy from Chinook sent me detailed instructions on how to replace them within an hour of enquiring about it on the web!! Have been in the market for another boom and tossing around what brand to buy. Chinook it is! !